The Gibson is a variation of the classic Martini Cocktail. The ratio is always open for debate, the original called for a 1:1 ratio (1.5 oz Vermouth), the classic ratio is the same as the Martini 3:1, but many today have the ratio at 5 or 6:1 (0.25 oz Vermouth) – we however tend to classify this as a Dry Gibson. At the end of any such debate it is really up to you and your own personal taste to decide. Stir the ingredients in a mixing glass with ice, strain into a chilled cocktail glass, and garnish with a Silverskin or Pearl pickled onion (also known as cocktail onions). Many people believe shaking “bruises” the Gin however this has been investigated scientifically and disproved. Stirring makes a subtle Gibson whilst shaking releases more of the botanicals and makes it colder – so stirred or shaken is purely a matter of personal choice. The number of cocktail onions to use vary, 1 or 2 are perhaps the traditional addition, but up to 4 or 5 is acceptable. Any more and it becomes impractical to hold them on one stick and perhaps may appear too ostentatious. How to remember a Gibson: the O in Gibson is for Onion! Sable & Rosenfeld (and other producers) make vermouth infused cocktail onions called “Tipsy Onions”. These make a perfect match for garnishing a Gibson. Increase the garnish to include a light sprinkle of freshly cracked black pepper over the surface of the drink, for a Black Pepper Gibson. Omit the Vermouth, for a Bone Dry Gibson. Replace the Gin with Vodka and omit the Vermouth, for a Bone Dry Vodka Gibson. Add 0.5 oz of Onion Juice, for a Dirty Gibson. Change the ratio to 6:1 (0.25 oz of Vermouth), for a Dry Gibson. Replace the Gin with Vodka and change the ratio to 6:1 (0.25 oz of Vermouth), for a Dry Vodka Gibson. Add a dash of Onion Juice, for a Dusty Gibson. Reduce the Vermouth to a dash, rinse the mixing ice with the Vermouth and pour the liquid out. Add the Gin to the ice, stir, strain and serve for an Extra Dry Gibson. Replace the Gin with Vodka. Reduce the Vermouth to a dash, rinse the mixing ice with the Vermouth and pour the liquid out. Add the Vodka to the ice, stir, strain and serve for an Extra Dry Vodka Gibson. Replace the cocktail onion garnish with an Olive, for a Martini. Replace the Gin with Vodka, for a Vodka Gibson. At least two other different people, named Gibson, are reputed to have had their “Martini” switched with water to remain sober. To identify it from other “Martini’s” it was garnished with a cocktail onion. 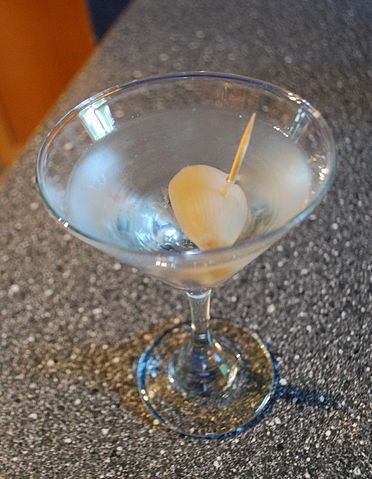 As people emulated this and had their (real) Martini garnished with an onion instead of the usual olive, it became known as a Gibson Cocktail. 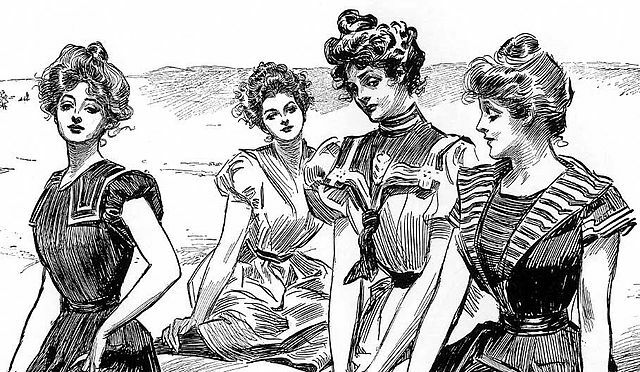 The most widely known story involves Charles Dana Gibson, a New York illustrator in the 1930’s. He is reputed to have challenged the bartender of The Players Club in New York City, Charles Connelly, to improve upon the Martini. To wit, Connelly simply switched the olive garnish for an onion and named it after the challenger. Interestingly, Charles Gibson is famous for drawing fictional images of ladies called “Gibson Girls”, often possessing well endowed chests - it is suggested this gave rise to the use of two cocktail onions for the garnish. Certainly if not the original creator of the cocktail, this story no doubt assists in affirming the standardization of the cocktail onion as the garnish. 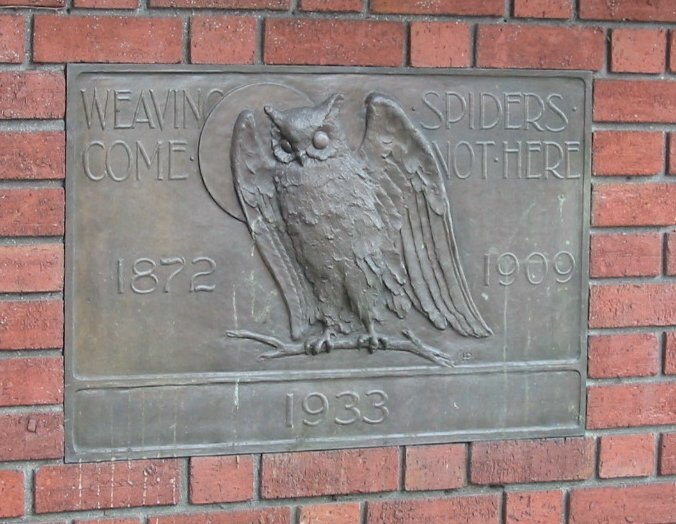 Perhaps the best contender for being credited is San Francisco businessman Walter D. K. Gibson (1864–1938). He is said to have invented the cocktail in the 1890’s when objecting to the way the bartender at the Bohemian Club made martinis - Gibson preferred them stirred, and made with Plymouth Gin. He also believed eating onions would prevent colds, hence the addition of an onion. 1898 – Newspaper “The New York World” published a humorous article by Edward W. Townsend. The article includes the first recorded reference to the Gibson whereby a fictional character (Major Max) declares he had “determined to devote the rest of my life to (the) pleasurable task of promoting the Gibson”. It is perhaps more than just a coincidence, Townsend had recently moved from San Francisco, where he had been vice president of the Bohemian Club. Early 1900’s (single digits) – The Riggs House Hotel in Washington DC listed a specialty drink called the Foolish Cocktail. This was a Martini with a thin slice of onion floating on top of the drink as garnish. 1908 – The World’s Drinks and How to Mix Them by William Boothby. This has a Gibson listed with 1.5 oz Gin and 1.5 oz Vermouth (ratio 1:1), with no garnish. 1914 - Drinks by Jacques Straub. This lists a Gibson with a pickled Walnut as garnish! 1917 – The Ideal Bartender by Tom Bullock. This has a Gibson listed as 1.5 oz Gin and 1 oz Vermouth (1.5:1 ratio), with no garnish. It also lists an Onion Cocktail as 1.5 oz Old Tom Gin and 0.75 oz Vermouth (2:1 ratio), with an onion as garnish. 1930 - The Savoy Cocktail Book by Harry Craddock. Lists a Gibson with a lemon twist as garnish. 1936 - The Artistry of Mixing Drinks by Frank Meier. This lists a Gibson as three-quarters Gin and one-quarter Sweet Vermouth (3:1 ratio), garnished with a small white onion. It would seem the first recorded reference to the Gibson substantiates the Walter Gibson creation story. We can also see how the drink has become drier and the addition of an onion has solidified as the standard garnish.